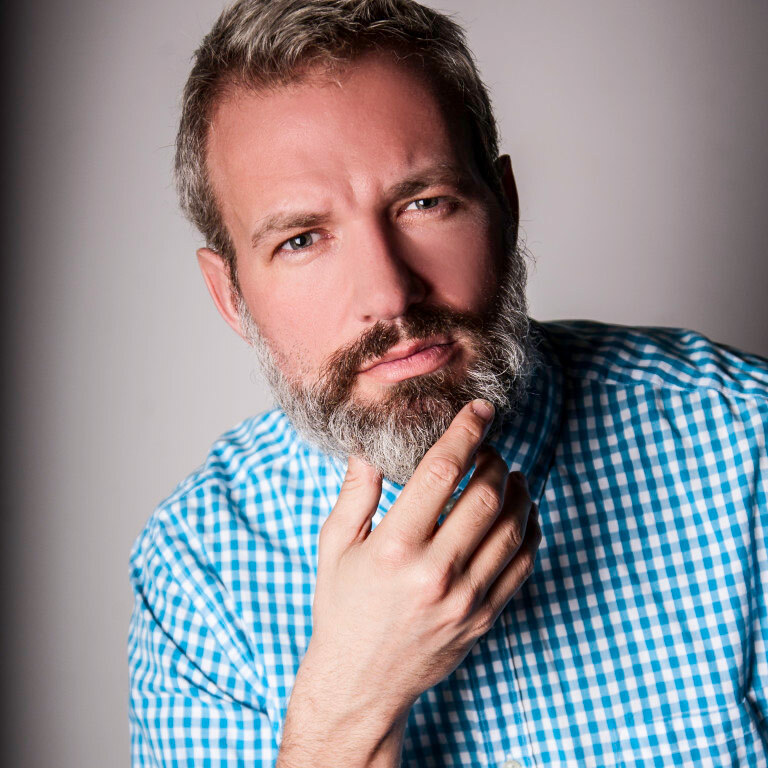 Baritone James Levesque is at home on both the concert and operatic stage and has been noted for his “expressive singing and acting abilities” (Opera Canada). He has performed on both sides of the Atlantic with such conductors as Harry Bicket, Richard Egarr, Jean-Marie Zeitouni, Raffi Armenian and Robert Dean. Highlights of past seasons include: Handel’s Messiah and Mozart’s Requiem with the Mississauga Choral Society; an Offenbach Gala with Toronto Operetta Theatre; Handel’s Messiah and Mozart’s Vesperae solennes de Confessore with the Thunder Bay Symphony; Duruflé’s Requiem with the Toronto Beach Chorale; Mozart’s Requiem with the Pax Christi Chorale; Schubert’s Winterreise and Die schöne Müllerin with the Mountain View Connection; Haydn’s Creation with the Ottawa Valley Music Festival; Bach’s Cantata BWV 201 with the Bach Society of Calgary; Haydn’s The Seasons with the Alyth Choral Society (London, UK); Purcell’s Fairy Queen under conductor Harry Bicket in the Aldeburgh Festival; Handel’s L’Allegro, il penseroso ed il moderato with the BPBO under conductor Richard Egarr, as part of the Britten-Pears Young Artist Programme; a guest artist solo recital at Brock University; Hugo Wolf & His Poets and the 12th Annual Greta Kraus Schubertiade, with the Aldeburgh Connection; Simon in Handel’s Judas Maccabaeus with Ensemble TrypTych; Malcolm Williamson’s World at the Manger and John Beckwith’s Great Lakes Suite with the Mississauga Choral Society; Saint-Saëns’ Christmas Oratorio, Mozart’s Requiem and Haydn’s Seven Last Words of Christ On the Cross with the Festival Chorus of Calgary. Recent roles include: Fiorello and the Sergeant Rossini’s Il barbiere di Siviglia with Opera Hamilton; Balthazar in Menotti’s Amahl and the Night Visitors with Choralis Camerata; the title role in Tchaikovsky’s Eugene Onegin with Opera by Request; Count Perrucchetto in Haydn’s La Feldelta Premiatá and Achilla in Handel’s Giulio Cesare with Opera in Concert; Mark in the world premiere of John Estacio’s Frobisher with Calgary Opera (broadcast live on CBC Radio), and the title role on tour through the Canadian Arctic; Tsar Alexander I in the Canadian Opera Company’s production of Prokofiev’s War and Peace; Jacob in Dean Burry’s Brothers Grimm, First Priest in Mozart’s Magic Flute and Old Andy in Allan Bell’s Turtle Wakes with Calgary Opera; Marco in Puccini’s Gianni Schicchi with Opera York; Melisso in Handel’s Alcina, the title role in Puccini’s Gianni Schicchi and Don Annibale in Rossini’s Il Campanello di notte with Essential Opera and at the New Hamburg Live Festival of the Arts; the title role in Mozart’s Don Giovanni, Count Almaviva in Mozart’s Marriage of Figaro and Manuel in de Falla’s La vida breve with Summer Opera Lyric Theatre; Ben in Menotti’s The Telephone for a Brock University performance; Sam in Leonard Bernstein’s Trouble in Tahiti with the Glenn Gould Professional School. James also created the role of William Draper in the world premiere of Gary Kulesha’s The Last Duel with the University of Toronto’s Opera Division. James is also a member of the delightfully versatile group Bravura, who are thrilling audiences across the country with their range of Broadway, pop, and Classical music.